40 Years Later: Who Killed JFK? Saturday is the 40th anniversary of the death of President Kennedy and the 40th birthday of the greatest whodunit in American history — the genesis of an unrelenting debate over the motive of the president's killer. Indeed, the notion that Lee Harvey Oswald did not act alone in killing the president might be the ultimate "conspiracy theory" because it is one that most Americans believe. A 1998 CBS News poll found that only 10 percent of respondents felt Oswald acted alone. Seventy-four percent believed there was a cover-up. Recent polls suggest that this is still the way Americans feel. Speculation over "what really happened" in Dallas on Nov. 22, 1963 is a national institution. Hundreds of books, films, television specials and websites have sifted through the minutiae of assassination evidence, suspicion and intrigue. Words like "magic bullet" and "grassy knoll" are part of the vernacular. Theorists have fingered suspects from the Mafia to the Cubans to the CIA to Lyndon Johnson and the Federal Reserve. According to longtime Clinton aide Webster Hubbell's memoir, President Clinton told his trusted ally and Justice Department appointee there were two things he wanted found out: whether there were UFOs, and who killed JFK. In the past year, U.S. newspapers have mentioned Oswald 760 times — more than twice as frequently as either Sirhan Sirhan or James Earl Ray, the men who murdered Sen. Robert Kennedy and Rev. Martin Luther King Jr., respectively. As fascinating as the debate over who killed the president is another question: Why does the shooting 40 years ago still captivate? James Fetzer, a professor of philosophy at the University of Minnesota (Duluth) who claims proof of a conspiracy, believes the killing of Mr. Kennedy still interests Americans — in part — because of the glamour and mystique projected by the president and first lady. A more important reason, he said, is that the story told by the Warren Commission — the official government probe of the president's killing — was simply too full of holes. "I think people know at a deep, subconscious level that they were being lied to by the government," he said. "If the president of the United States can be assassinated in the middle of the day, then the American people have no basis to believe what their government says to them." Doubts about the "lone gunman theory" emerged almost immediately after the president's death. 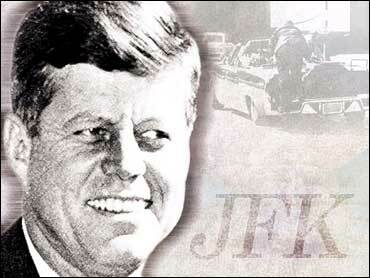 That prompted the Warren Commission to report in 1964 that it found no evidence "of any conspiracy, domestic or foreign, to assassinate President Kennedy." "Others of the more widely publicized rumors maintained that Oswald must have received aid from one or more persons or political groups," the Commission reported, "ranging from the far left to the far right of the political spectrum, or from a foreign government, usually either the Castro regime in Cuba or the Soviet Union." Fifteen years later, the House Select Committee on Assassinations found "on the basis of the evidence available to it, that President John F. Kennedy was probably assassinated as a result of a conspiracy." The crucial difference between the two reports was that the Warren Commission believed the president was killed by the shots fired by Oswald, while the House committee suspected two gunmen were involved, based on "various scientific projects." But the House committee was "unable to identify the other gunman or the extent of the conspiracy." It said the Soviet government wasn't involved. It found the Cuban government wasn't responsible. It concluded the Secret Service, the CIA and the FBI weren't to blame. And it decided that anti-Castro groups and the Mafia weren't behind the killing, but that the evidence couldn't rule out that individual members were involved. The sheer number of possible explanations might be part of the appeal of the JFK case. John McAdams, associate professor of political science at Marquette University and a skeptic of conspiracy theories, notes that the Kennedy assassination offers something for everyone: Leftists can blame the CIA, while right wingers can suspect communists. The three earlier killings of American presidents offered less room for that sort of speculation. It was obvious why John Wilkes Booth shot President Lincoln. He and his co-conspirators were eventually rounded up and executed. Charles J. Guiteau and Leon F. Czolgosz, the men who killed Presidents Garfield and McKinley, respectively, were both mentally disturbed; there were no hints of larger plots. In Kennedy's case, however, the idea that a "lone nut" could kill the most powerful man in the world was unsettling. "People like to believe that things happen in the world for a reason," McAdams says. "They don't want to believe that chance events like that can move history. It's much more comforting to believe that large events have important causes." If the 1998 CBS News poll is any indication, Americans never expect to be reassured. Seventy-seven percent said they believed the truth of who killed Mr. Kennedy would always be a mystery. Fetzer believes that lack of closure, coupled with the suspicion that the government is withholding the truth, is a cancer on the American psyche that has undermined trust in public institutions. "It must be excised," he said. The hope that the one, crucial, missing clue will someday surface is a faint one, McAdams said. Most government documents on the assassination were released in the 1990s. New forensic techniques might emerge, but it's unlikely evidence was collected on which those techniques might be used. "For all practical purposes, the evidence we have now is the evidence that will exist for the ages," McAdams said. Likely, the mystery of what really happened in Dallas will persist as well.